With hundreds of door styles and finishes to choose from, we’re confident to have something to excite your imagination. We offer dozens of convenience and storage aids to help you make the best use of your time and space. Because each client’s needs are unique we offer a wide variety of products. 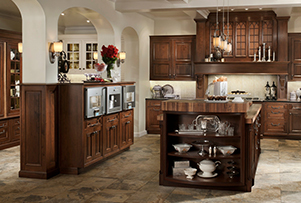 We represent quality products that have proven their ability to stand the test of time. Now in our 30th year, we have the kind of time tested know-how that only comes through real world experience. Imaginative and functional designs, quality products and professional installations.